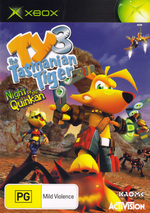 Ty is back in his third instalment of this popular little platforming game developed by the Australian Krome Studios. 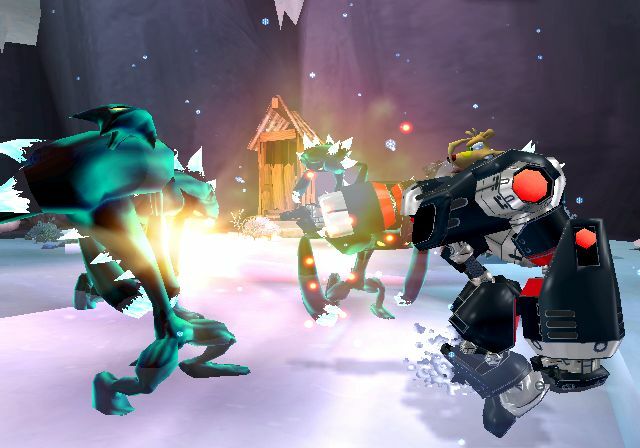 As with the previous games in the series, it is aimed at the young player with its ease of play, however old gamers will still get a chuckle out of the whole deal with the fun characters that inhabit the gameworld. The game deals with the collection of stones and other artefacts which can get a little overbearing at times but the whole thing is pretty easy to figure out and the collecting items is just one of the many things that you will have to do to progress through the title. The story picks up shortly after the second Ty game with all being peaceful after the threat of Boss Cass has passed. All seems well until the dark spirits known as the Quinkan invade The Dreaming, and it’s up to Ty and the Bush Rescue team to do what they do best. The game includes all the usual platforming elements and some environmental obstacles plus puzzles that must be navigated to make your way through the title. Ty has the use of his trusty battle rangs and also some fantastic vehicles and battle armor to soup up his skills against stronger foes. The world that the game resides in is huge and there are times when going between worlds that you might experience a bit of time with level loading so be patient as door do not always open quite as quickly as one might expect. This is rare but something to note. One thing about the Ty series is that graphically it is a bit rough with squared off images as opposed to some of the more polished titles that have made their way into the platforming genre. It works for this title though and is suited entirely to the gaming environment. 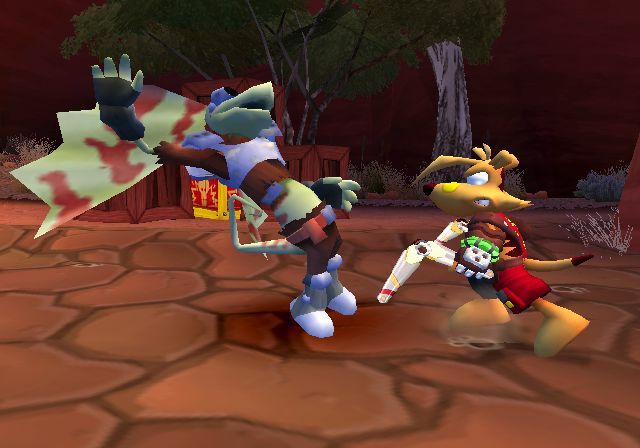 Audio is humorous and the little storyline that is presented is rendered using the game engine. For a title that is quick, fun and easy to get into, both kids and adults should have some fun playing this one. The grownups or older players will most likely rip through it in no time, but the youngsters should get many hours of enjoyable playtime out of it.